Have you ever wanted to learn the secrets of playing Spanish style guitar? Do you have the ambition to play the guitar in a fast, rhythmic, and percussive way that excites and ignites an audience? Have you ever wanted to master the rumba, the flamenco triplet or the rasgueado? 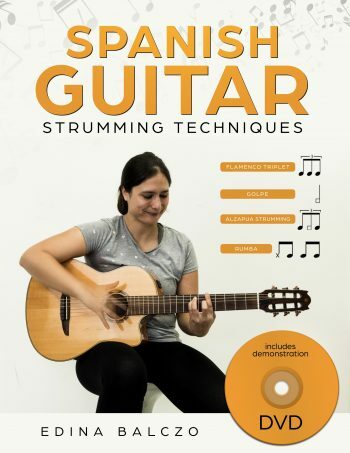 In Spanish Guitar Strumming Techniques book and DVD, guitarist and YouTube phenomenon Edina Balczo teaches and demonstrates a wide array of 21st century strumming methods tailored for the Spanish and flamenco guitar.